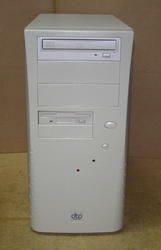 I`m getting this PC in a few days, and i have no experience with SCSI devices. 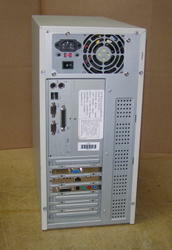 Do you think it`s worth it to buy a SCSI hard drive? If so what Kind? 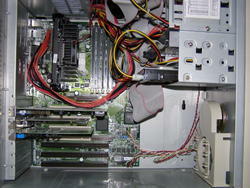 The motherboard is a SuperMicro P6SBU 440BX Chipset. I have no practical experience with that interface. Yet I believe, the primary task of SCSI is to offload work from CPU (i.e. read / write transactions), thus to provide better system & disk performance (higher RPM speed of such drives help in that case too). However, with introducing of IDE Bus Masterig, PATA became quite OKish. You still may find SCSI more useful with a heavy tasks like video editing, I assume. Location: USA Advantage of SCSI is that the drives are faster than IDE both in raw throughput and access time. The controller does offload some of the work from the CPU when accessing the drive. The SCSI controller on the MB is a good controller and you should have no problems with it. Finding drivers is also a no brainer. XP already has drivers built in for that controller, I think 2000 SP2 or maybe SP4 does as well but I don't remember for sure. 98 you will have to mod the boot floppy with the correct driver for the controller in order for FDISK to see the drive. Downside to SCSI is the drives usually run hot to very hot depending on RPM. 15K drives are roasty so a fan moving some air around them is a must. 10K's can also be hot, but I have some that run no warmer than a typical IDE drive. 7.2K drives run pretty cool. You will need to get a SCSI cable with a terminator at the end of it as well. You can get single drive SCSI cables with a terminator at the end, and this is the kind I like to use, round as well, unless for some reason I want to RAID the drives together, which I don't. Another downside is SCSI drives can be very loud. So I would suggest trying to find a new drive because odds are a used drive, while it will probably still have plenty of life left to it, will most likely have been pulled from a server and will have a lot of spin time on the motor bearings and will have a loud metallic scraping kind of whine to it. WD Enterprise SCSI drives are good. Location: Hull, UK SuperMicro? i440BX? Sounds like a good motherboard to me, but then I would say that, because I have one which is very similar. SCSI drives, as others have said, tend to be faster, especially as I think that board supports 68-Pin drives. Windows 98 shouldn't actually care about drivers all that much, so far as I remember, as I think the adapter supports BIOS hooks of some kind such that it looks like a regular IDE drive to DOS - you probably won't have full 32-Bit access or caching in that case, however. Admittedly, I am not a fan of that sound card at all, but if it works I guess, it can always be changed later if it becomes a problem.